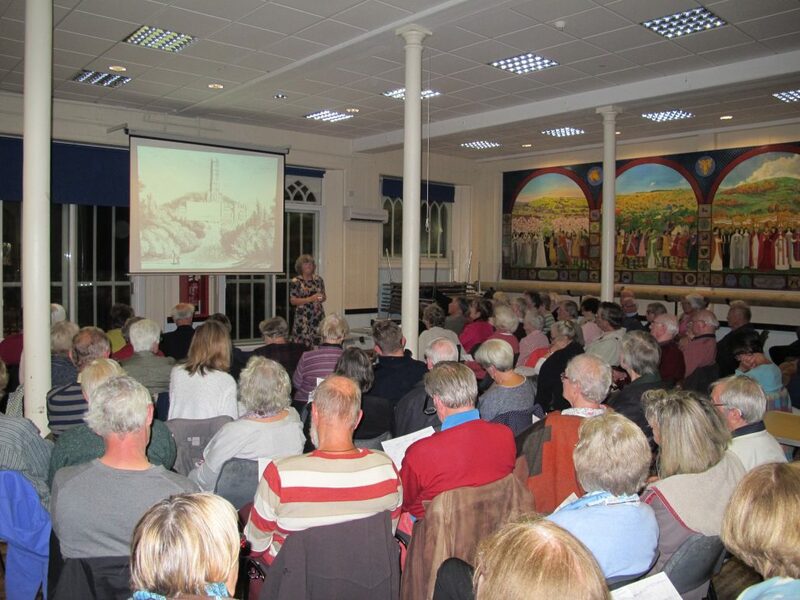 Ninety-plus Shaftesbury & District Historical Society members and guests crammed into the Town Hall on Tuesday evening 04 October to hear Professor Caroline Dakers give an engaging and informative Teulon Porter Memorial Lecture. The advertised title was The Beckfords at Fonthill but in fact Professor Dakers ranged over the builders and owners of six mansions in the Fonthill area, from the late sixteenth to the twenty-first centuries. Not all were as eccentric or ambitious as William Beckford, ruined by a collapse in the price of sugar, but many were movers and shakers, and at least two were beheaded. John Bradshaw, who presided over the trial of Charles I in a bullet-proof hat, lost his head posthumously. The question was posed as to why such a small area of Wiltshire should attract so many repeated displays of built wealth. Professor Dakers plans to answer many other questions about Fonthill in a book to be published within a year or so.